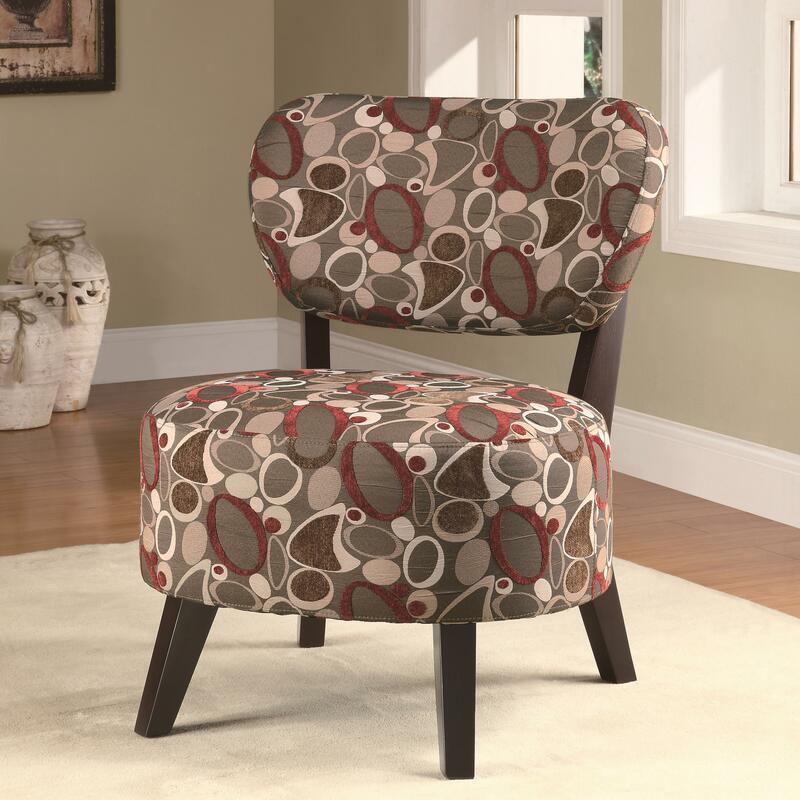 Spice up any room in your home with this attractive accent chair. The piece carries multiple patterns and features dark brown wood legs for a clean, contemporary look. There will be lots to like with this accent chair in your home. The Accent Seating Accent Chair w/ Padded Seat by Rooms Collection Two at Rooms Furniture in the Houston, Sugar Land, Katy, Missouri City, Texas area. Product availability may vary. Contact us for the most current availability on this product.